Preparing for biosafety accidents helps to prevent them and limit their impact should they occur. 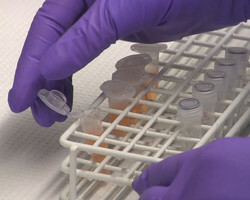 In the WHO European Region, 12 countries plan to keep polioviruses for vaccine manufacturing or critical research purposes after the virus is no longer circulating anywhere in the wild; to do so, they must apply for certification of a poliovirus essential facility (PEF), where the materials can be safely stored and contained. Any breach of poliovirus containment is of serious international concern as it could lead to infection of any exposed individuals and possible transmission to others. Poliovirus circulation following global eradication would threaten not only the health of susceptible individuals but decades of historic progress in ridding the world of a devastating and preventable disease. To help prepare for PEF certification, representatives from the countries with planned PEFs (Belarus, Belgium, Denmark, France, Hungary, Italy, Netherlands, Romania, Russian Federation, Serbia, Sweden and United Kingdom) participated in a 2-day polio outbreak simulation exercise (POSE) organized by WHO/Europe and the European Centre for Disease Prevention and Control (ECDC) in October 2018. The scenario of the simulation exercise was based on a real event, namely the accidental spill and exposure of 2 laboratory workers to poliovirus type 2 in a vaccine manufacturing plant in the Netherlands in 2017. “The trend of training through simulation exercises is great. The scenario we used was real – it did happen. The simulation made us think of possible gaps and what could be improved in our own country,” said Franceso Vairo, representing the Lazzaro Spallanzani National Institute for Infectious Diseases, Italy, at the meeting. By simulating the occurrence of a containment breach in their own countries, participants could critically review and update their respective national plans for responding to such an event in a PEF. They could also identify potential deficiencies in their countries’ overall emergency response and contingency planning systems, including aspects related to legislation, communication, coordination and collaboration at international and national levels. Dr Eugene Gavrilin, coordinator of WHO/Europe’s support to countries for GAPIII implementation encouraged participants to “use poliovirus containment as a powerful vehicle through which to improve your country’s overall system of biorisk safety and security”. Destruction or safe storage in PEFs of all potentially infectious poliovirus materials are among the requirements agreed to by all countries in the “WHO global action plan to minimize poliovirus facility-associated risk after type-specific eradication of wild polioviruses and sequential cessation of oral polio vaccine use (GAPIII)”. WHO/Europe provides technical assistance for GAPIII implementation through training, workshops, country visits and translation and dissemination of guidelines. all biorisk requirements in GAP III need to be translated into national guidelines for practical use in the event of an actual breach. A lack of harmonized, detailed regulations and procedures covering all aspects of such an event, including isolation and quarantining of infected individuals, can reduce the timeliness and effectiveness of a response. “Just because there is little risk of a possible poliovirus outbreak does not mean that you don't have to be prepared for it,” said Francesco Vairo.